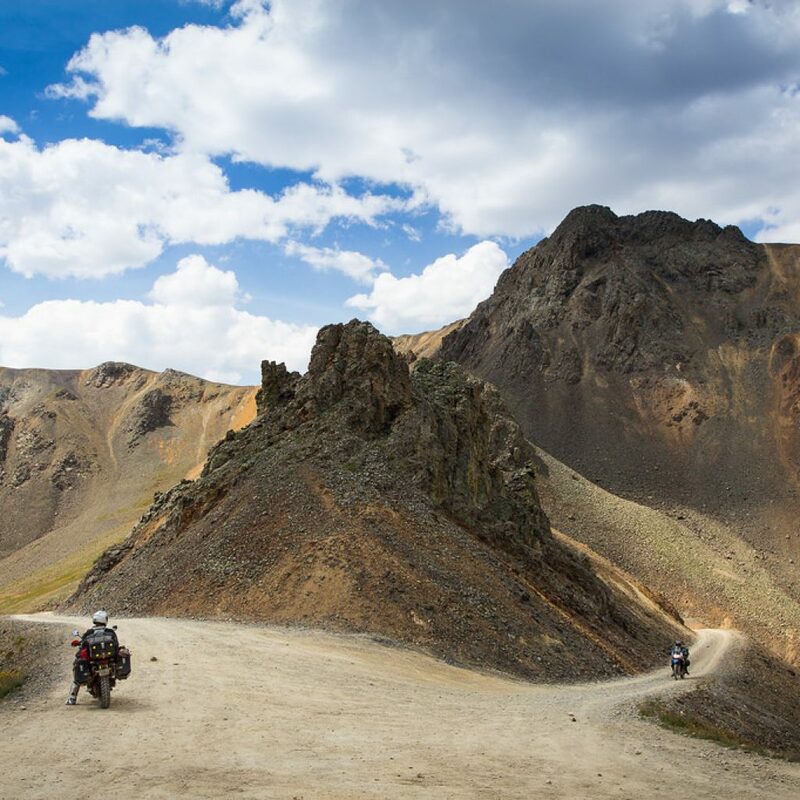 Being as it’s the fourth largest country and has the most extensive road network in the world, motorcycle touring in the USA should be at the top of your riding wish list. From sea to shining sea, whether you’re a fan of the big open road or tight, gravel mountain track, the States will have something for you. 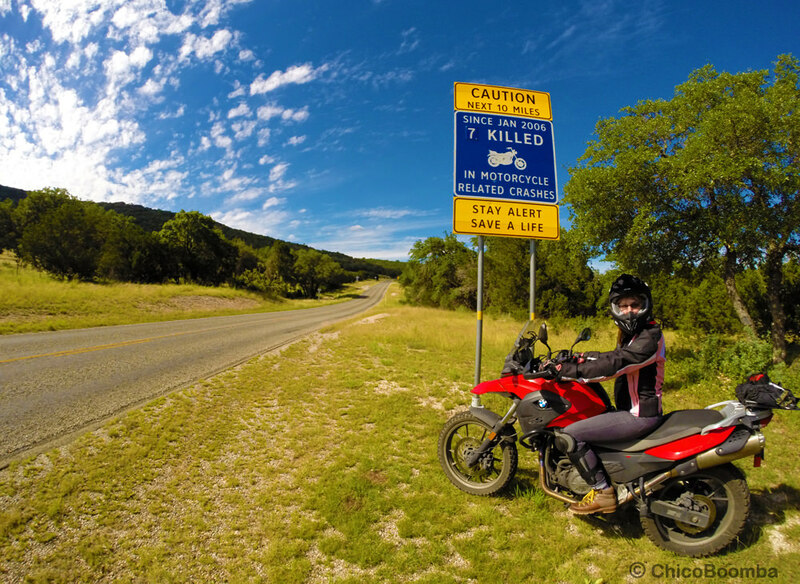 There are so many great places to ride when motorcycle touring in the USA that there’s only one surefire piece of advice about where to go: stay off the Interstate. When you find something interesting, you should be able to pull over and enjoy it, so stay off the controlled access highways. There are also so many great dual sport and ADV routes in the US to explore and we will continue to add these to the page. 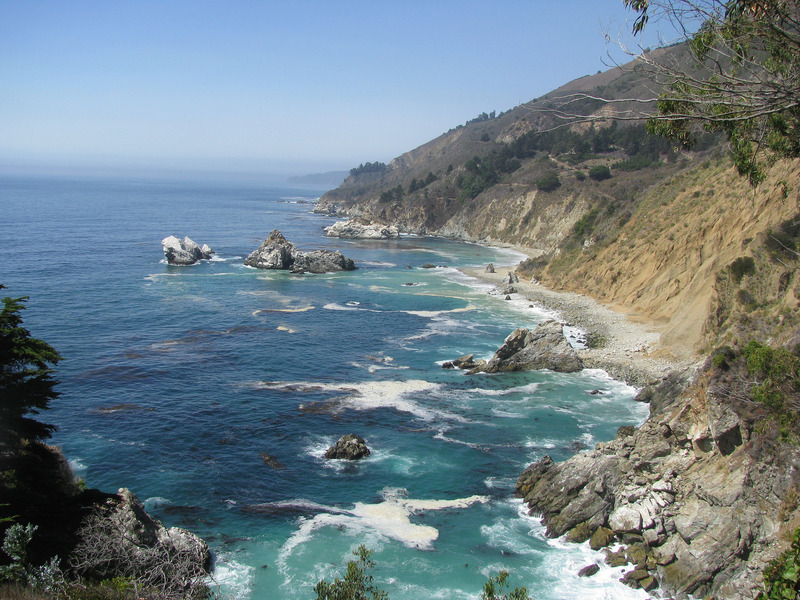 The quintessential American road trip: a 659-mile ride along the Golden State’s stunning coastline. 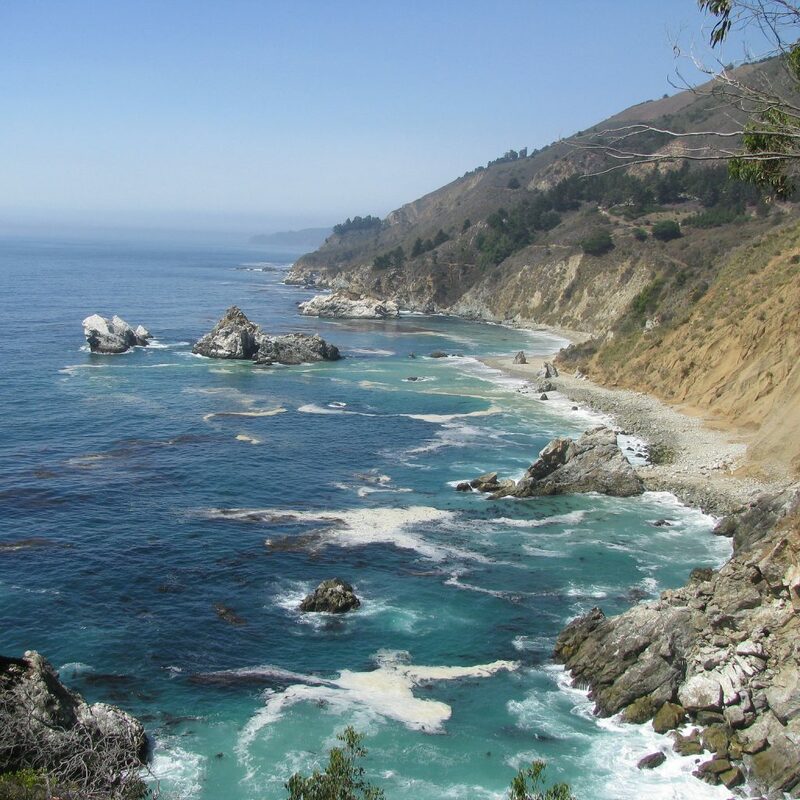 Carmel by the Sea, Big Sur, Monterey, and Golden Gate Park in San Francisco are popular places to relax on this itinerary. More on this route. This 444-mile road from Natchez, Mississippi to Nashville, Tennessee may make for a beautiful ride now, with its rolling hills and leafy canopies, but it’s the site of one of America’s most gruesome tragedies. It’s a journey through history via the trail that transported 19th-century slaves from ports on the Mississippi River, through the forest, to cities in the more developed East. Audio tours are available for use along the route. 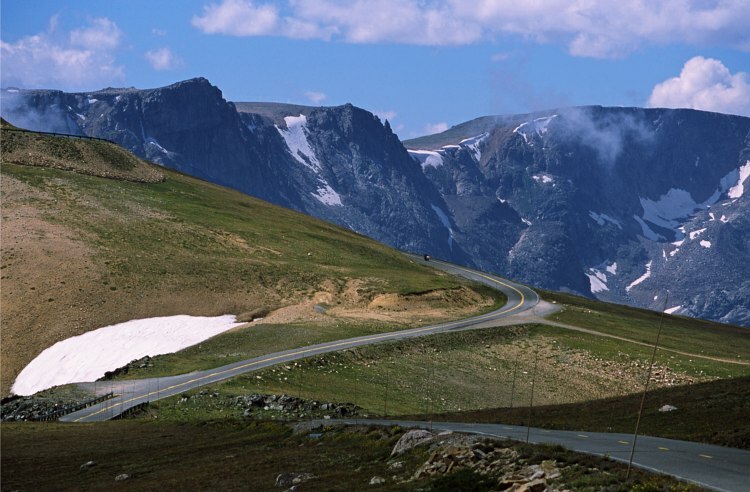 The 223-mile loop in southeastern Colorado passes through some of the state’s most beautiful countryside and is part of its Scenic and Historic Byway System. Climbing to an elevation of over 11,000 feet, with views of craggy peaks, colourful autumn leaves, and the chance to explore well-preserved mining towns from the 19th Century makes this a world-class ride. More on this route. 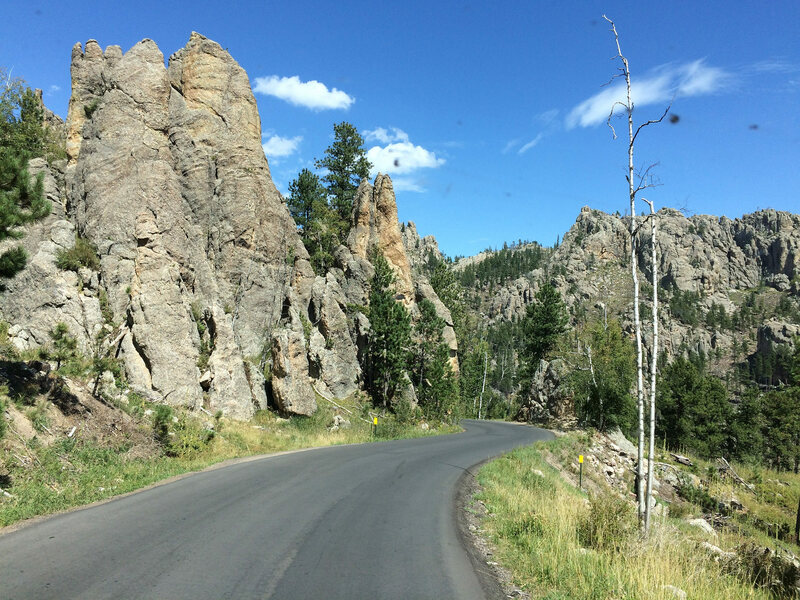 This 66-mile route takes riders through a stunning section of the Black Hills range. 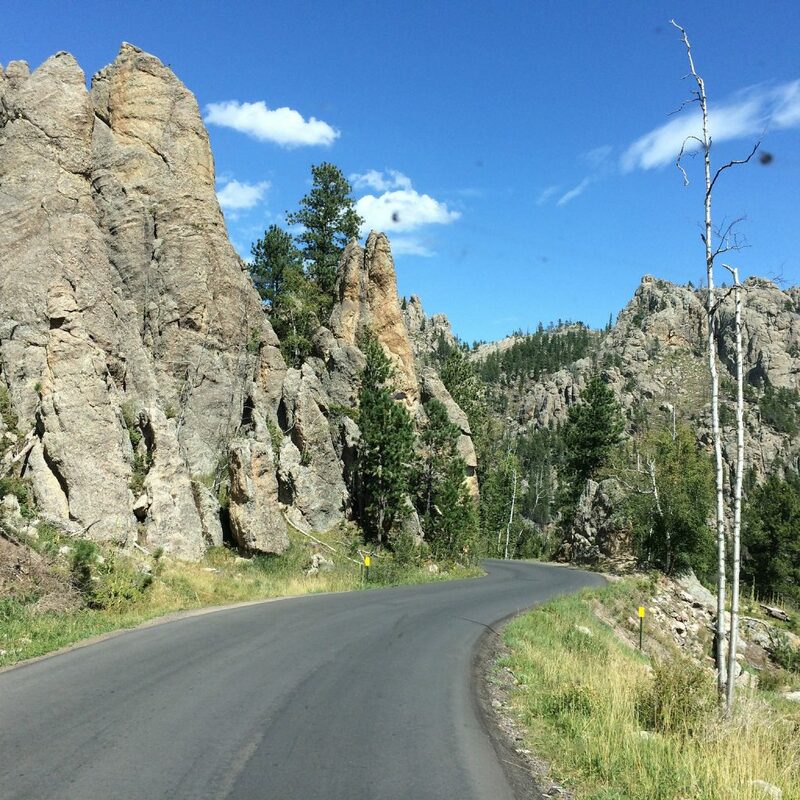 Defined by tight turns, towering rock walls, and the chance to see bison in natural habitat, this is one of the best rides to take in the Plains states. More on this route. 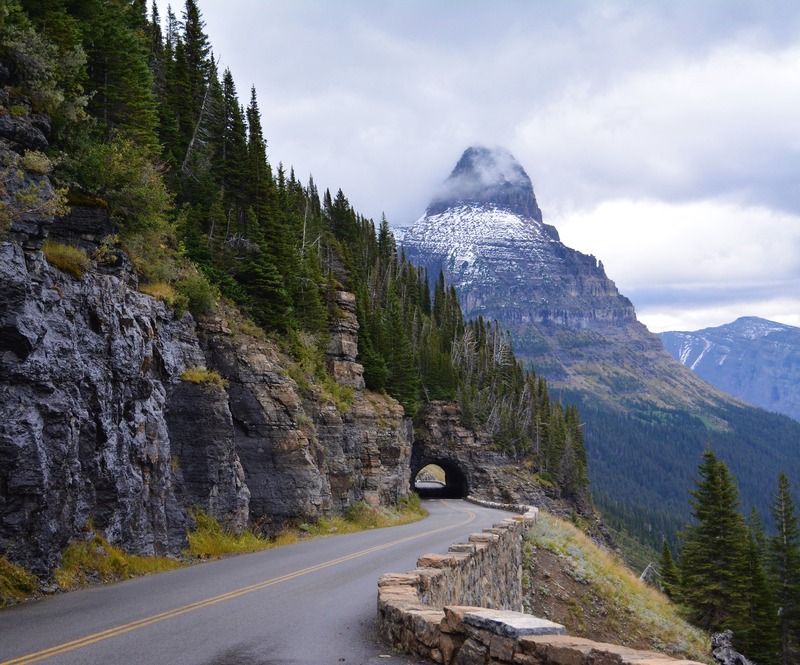 Called one of the most scenic drives in the U.S., this route is famous for its 318 curves in the span of 11 miles. It runs along the southwestern border of the Great Smoky Mountains National Park through a lush green forest. Accidents are not that uncommon, so it pays to be vigilant as your round each of the hairpin turns. More on this route. Few roads offer so many amazing views in such a short span of road. 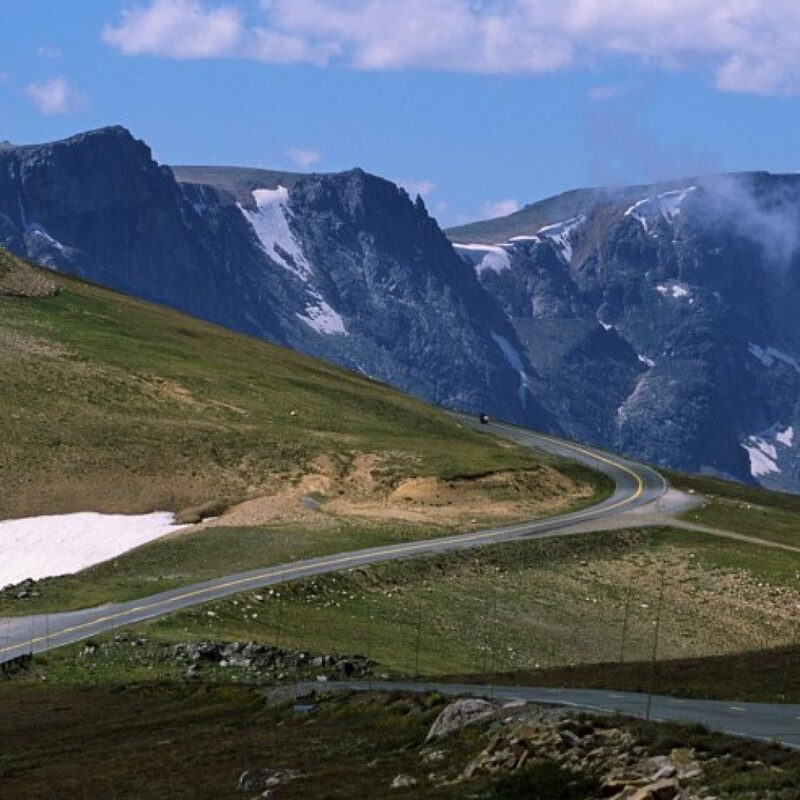 The 68-mile highway climbs a series of switchbacks to gain 4,500 feet of elevation from the little ski town of Red Lodge to its crest at Beartooth Pass before descending a few thousand feet to Cooke City, the northeastern gateway to Yellowstone National Park. More on this route. 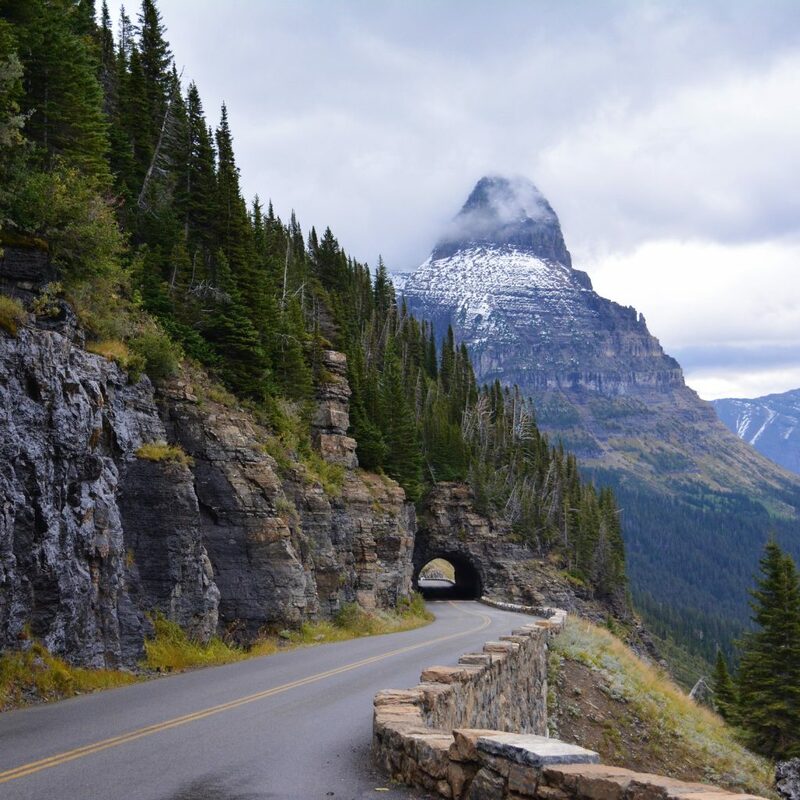 Constructed in the early 1930’s, this road traverses the width of Glacier National Park and has fantastic views of Lake McDonald, Saint Mary Lake, and the Logan Pass region. It’s only fifty miles long, but the stunning vistas featuring glacier-capped mountains will have you snapping photos every five minutes. More on this route. 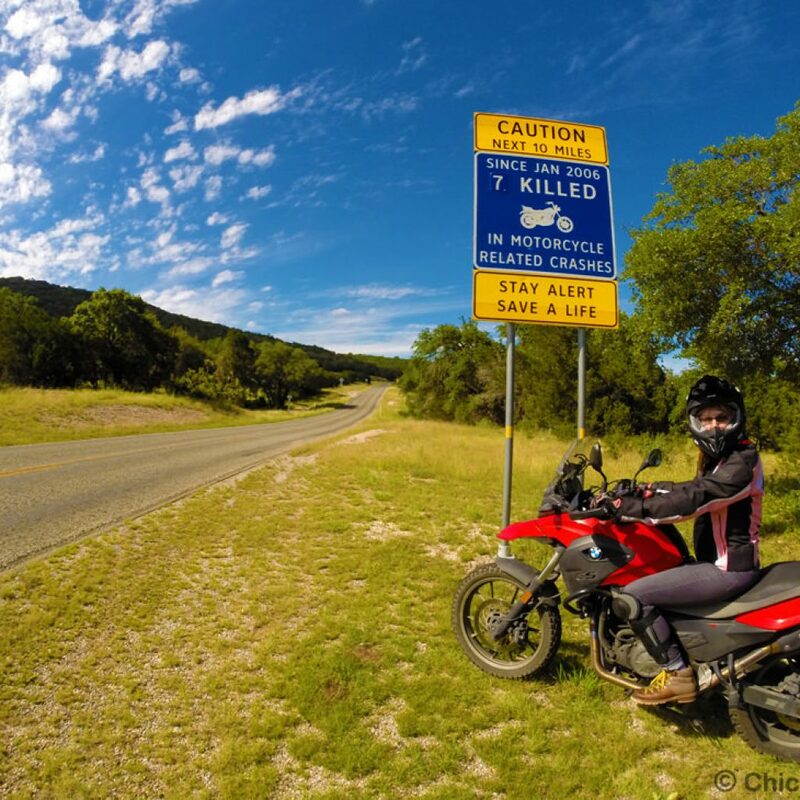 This 100-mile loop through Texas Hill Country runs through beautiful pretty steep-sided canyons, while challenging riders with a wide array of twists and turns. The wide-open spaces will reminds also reminds riders what freedom feels like as they cruise the back roads of the Lonestar State. More on this route. 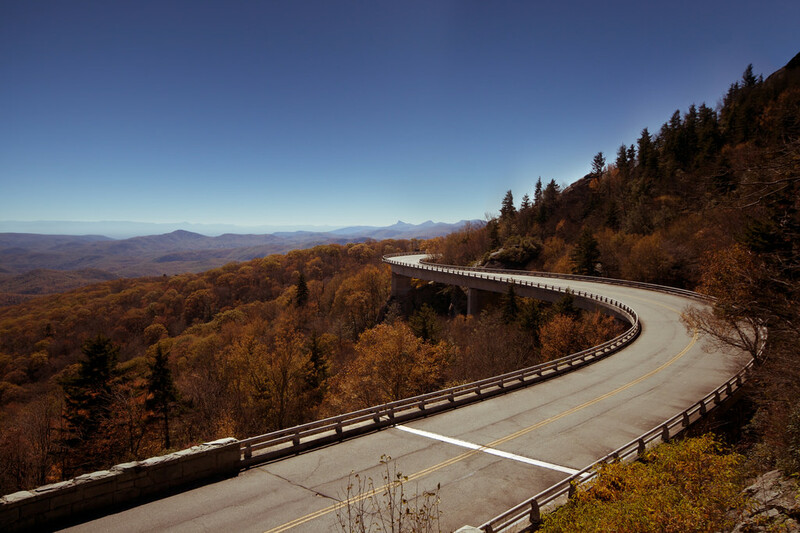 The incredibly scenic 469-mile route connects Shenandoah National Park in Virginia with Great Smoky Mountain National Park in Tennessee, following the spine of the Blue Ridge Mountains. 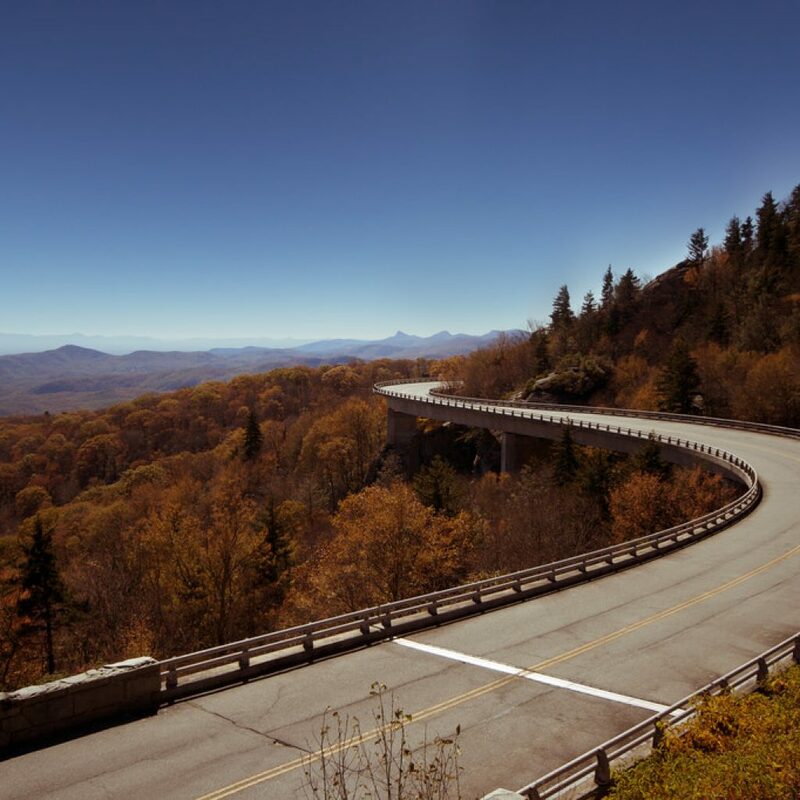 The Appalachian Mountains provide the backdrop to what is a relatively relaxing and meandering route through quaint villages and green pastures. More on this route. A road on many ADVriders lists, the Dalton runs for 414 miles from Fairbanks, the last visage of civilisation in the Arctic North, to the oil drilling camp of Deadhorse on Prudhoe Bay. Built to service the Alaskan oil pipeline, most of the traffic on this route is big rig truckers, making it quite the adventure but it’s sheer remoteness and nearby Gates of the Arctic National Park make it a once in a lifetime ride. More on this route. To enter the United States you’ll need a passport (even if you’re Canadian), preferably with six months or more of validity. Around thirty countries including much of Europe, Australia, New Zealand, and a few East Asian nations are eligible for the Visa Waiver Program, which allows residents from those countries to stay in the United States for ninety days. However, it’s still necessary to receive an Electronic System for Travel Authorization (ESTA) before boarding a flight bound for the United States. Citizens of Canada entering by land do not need an ESTA. Additionally, you’ll need a driver’s license to operate a motorcycle. Fortunately, if you have a license to ride a motorcycle in your home country, it’s also valid in here the states. In practice, it’s best to obtain an International Driving Permit (IDP) before traveling to the U.S. though, which translates all of the pertinent information from your home license into English that the authorities can read. IDP’s are usually not difficult or expensive to obtain. How difficult it is to bring your own bike will depend on where your current residence is. If you’re in Canada or Mexico, bringing your bike across the border is a fairly painless process as thousands of vehicles do so every day. However, if you’re shipping it from Europe (or worse Australia), things get a bit more complicated and expensive. Air freighting it will cost somewhere around $1000, but takes less time and isn’t as much of a hassle at customs. A Carnet de Passage is not necessary for bringing your bike to the United States, however you will need to get a Non-Resident Temporary Importation Approval from the Environmental Protection Agency, which can take a few weeks to receive. You will need to carry proof of ownership at all times and have a valid license plate from your home country. As long as you’re not staying more than a couple of months, you don’t need to register it in the U.S. However, you’ll also need insurance, which can be pricey for foreigners. Without a U.S. driver’s license, insurance companies have no way of looking up your driving record and so hedge their bets by charging you the highest rate possible. Unlike Southeast Asia or Latin America, rental bikes can be hard to come by, depending on what part of the country you’re riding in. No matter where that is, you should expect to pay a premium to rent; insurance rates for rental motorcycles are quite high. You’ll probably be looking at $1000-$1500/week, though most come with helmets and saddlebags already set up. If you consider how much it costs to ship a bike and all the paperwork that comes with it, renting a bike is still probably the best option for foreign riders. On the other hand, if you’re riding for a couple of weeks, it could be a better choice to buy a used bike and sell it at the end of your trip. Hundreds of them are available on Craigslist and other online marketplaces. Due to its sheer size, there is no right or wrong time to plan a motorcycle trip in the United States. When it’s snowing in the New York the temperatures in southern Arizona might be perfect for a bike trip. On average though, the best months to ride anywhere in the country will be July and August, when the weather is warm and the rains are less frequent. No matter when you plan to ride though, know what kind of temperature and precipitation you might encounter along the way. If you’re riding through the mountains, know that the weather can change drastically as you the elevation increases. However, if there was a time of year to plan your ride around, you might look into attending one of the country’s famous bike rallies. Sturgis is far the most popular, with over 700,000 riders showing up to the tiny South Dakota town every August. Other can’t miss events include the Daytona Bike Week, which attracts around 500,000 riders to the beautiful Florida coast in early March. A less well-known gathering is the Laconia Bike Week in New Hampshire, which is the oldest bike rally in America, starting in 1914. Any of these rallies is sure to be a great time with delicious food, exciting contests, and the chance to meet and talk to other bikers. Throughout most of the country, you’ll never be more than ten minutes from a fuel pump. However, that all changes if you’re riding backcountry forest service roads or desolate stretches of highway in the less populated Mountain West region. You could end up an hour or more from a service station there; plan your route and your fuel conservation, and be sure to brush up on your bike maintenance before heading out to these more rural locations. This is doubly true if you’re thinking about riding in Alaska. It’s best to avoid these roads, if you can, as you more than likely won’t have a transponder for automatic payment and stopping every few miles to pay cash is a real hassle. Toll roads are most common along the east coast and in some of the more populated cities in the Midwest, but you’ll also find a few of them in Washington, Colorado, and California. As a nation of immigrants, the United States is a land of many cuisines. Researching the local delicacies is a great way to experience the country: boiled peanuts in the Deep South, fried ravioli in St. Louis, Frito Pie in New Mexico – all delicious, most of it extremely unhealthy though. Many travellers eat at fast food chains to save money and because they’re very convenient on a road trip. More than a few days of this will be murder on your digestive system; make a point of buying healthy foods at the grocery that will keep you on the road and out of the rest stop bathrooms. Eating out adds up quickly, buying groceries will also help you to stay on a budget. 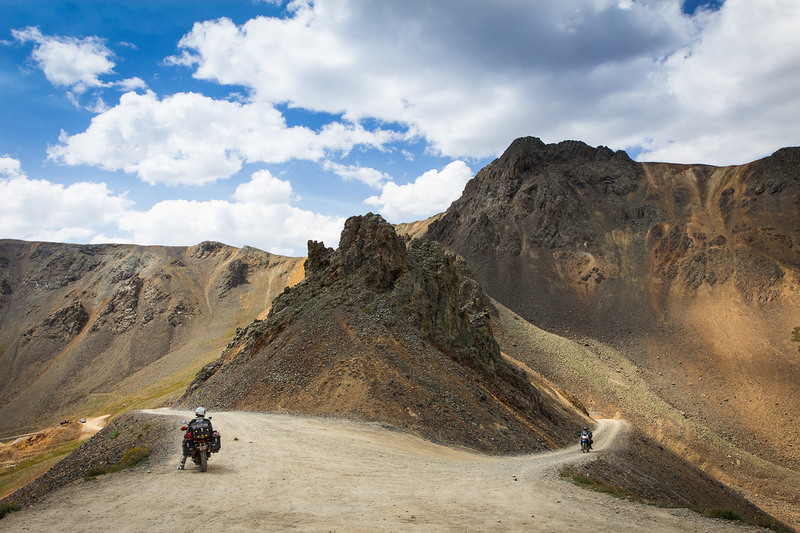 Check out our blog for articles on our experiences in adventure riding in the US or read our general Adventure Motorcycle Touring Guide.